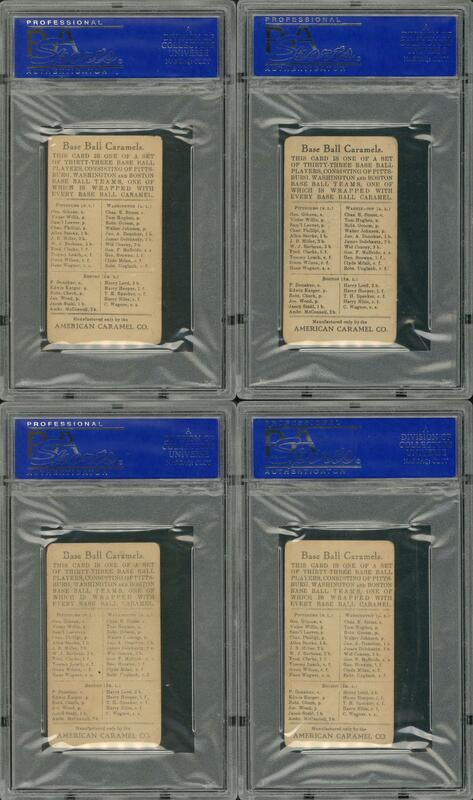 Lot Detail - 1910 E91-C American Caramel Complete Set (33) Including Honus Wagner PSA EX 5 Example! - #3 on the PSA Set Registry! 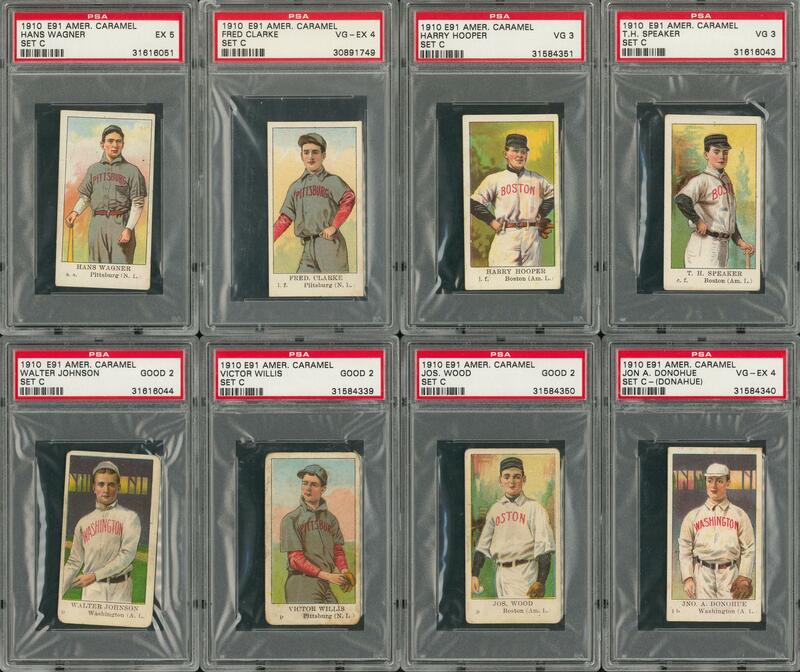 1910 E91-C American Caramel Complete Set (33) Including Honus Wagner PSA EX 5 Example! - #3 on the PSA Set Registry! 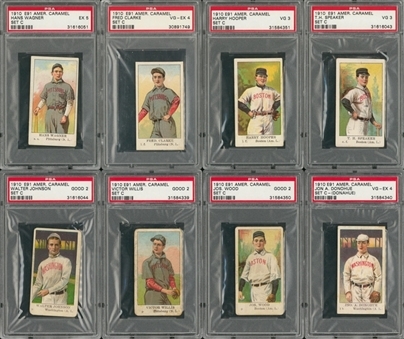 Each card has been graded by PSA. 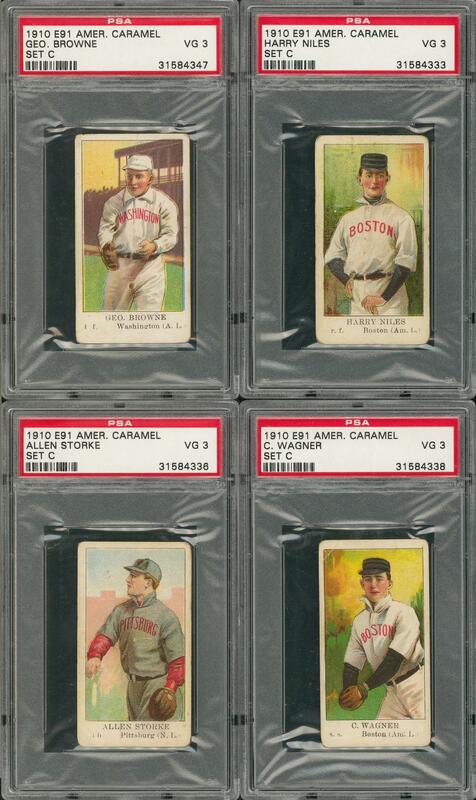 Presented is a 33-card complete set of E91-C American Caramel baseball cards issued in 1910. With its 2.69 GPA, this assembly merits "#3 Current Finest" placement on the PSA Set Registry! 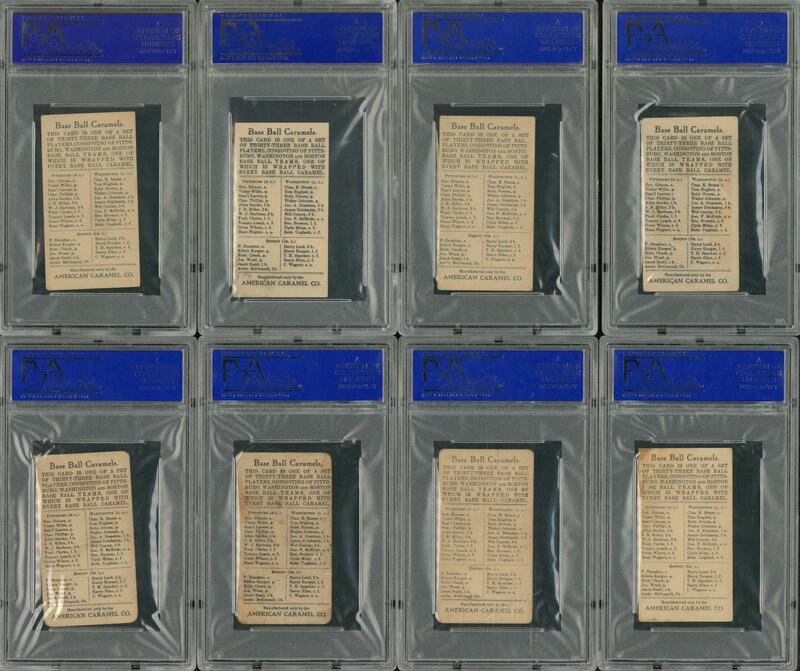 The third installment in the E91 American Caramel, this release is noted for its inclusion of Hall of Famer Honus Wagner which is here offered in PSA EX 5 (1 of 1, two higher) condition! 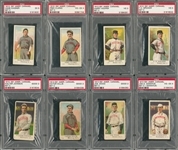 Includes: Graded PSA EX 5: 1 card, H. Wagner; PSA VG-EX 4: 2 cards w/Clarke and J. Donahue; PSA VG 3: 7 cards w/Browne, Hooper, Karger (MK), Niles, Speaker, Storke and C. Wagner; PSA GD 2: 14 cards w/Barbeau, Charles, P. Donahue, Gibson, Groom, Hughes, Johnson, Leach (MK), Lord, McConnell, Miller, Stahl, Willis and Wood; PSA PR-FR 1: 9 cards w/Conroy, Delahanty, Leever (MK), McBride, Milan, Phillippe, Street, Unglaub and Wilson (MK).